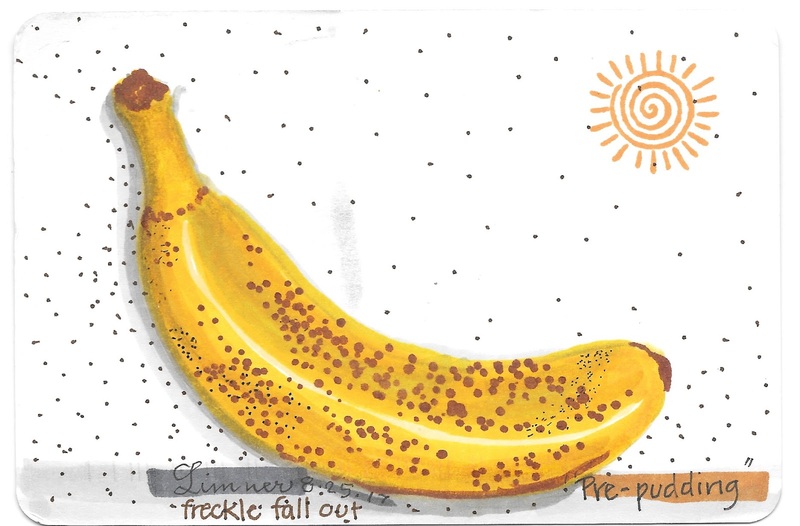 envelope 100: Why do bananas have spots? Thanks for the mail art and great joke, Limner. Hahaha! "Cause they'd look awful in stripes" sounds better! You're welcome. Glad you appreciate the humor. Wow, such a beautifully painted spotted banana!